Fort San Pedro is Cebu's military defense structure notable for its triangular shape. Being utilized greatly in the colonization years, what impressed me was its restoration after the Second World War. With coral stones hauled from under the sea to use in undertaking this tedious, time-consuming and labor-consuming endeavor, it has stood today to tell a story of resilience. 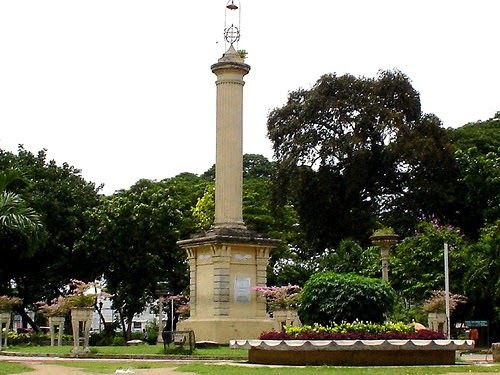 With its acacia trees, you can tell that Plaza Independencia has come a long way from a public square used as a military training and parade ground to a symbol of independence and freedom from all the conquerors that tried to take over Cebu. It's a reminder of true freedom to be used rightly to benefit the nation and its people. Malacañang sa Sugbo is important for being the official residence of the President of the Philippines in the Visayas region. From learning its beginnings as a Customs building, I want this to be completely revived. I hope for a day that it becomes a haven for the President to calmly and freely think through his plans for the country when he visits here. 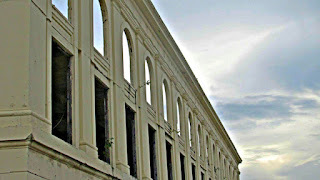 The remnants of Compania Maritima made me appreciate the vital role of Cebu in the maritime industry. 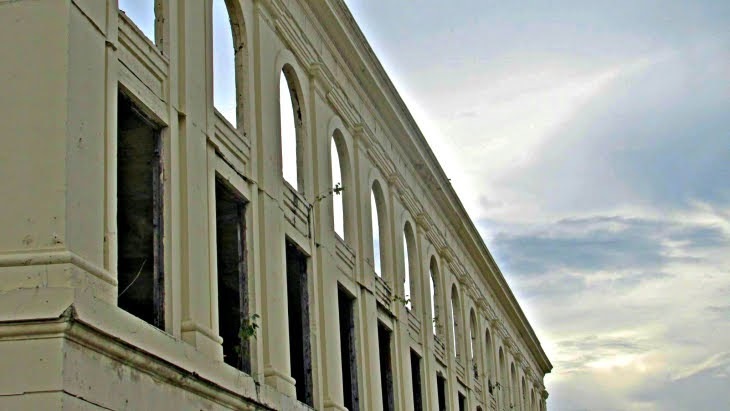 Though there were plans to transform the building into a maritime museum, there were also plans to make the building to a heritage museum showcasing Chinese-Cebuano history and culture. I'm all good with wanting to deeply know a part of my roots. If I were to choose, I would love to see both museums come. 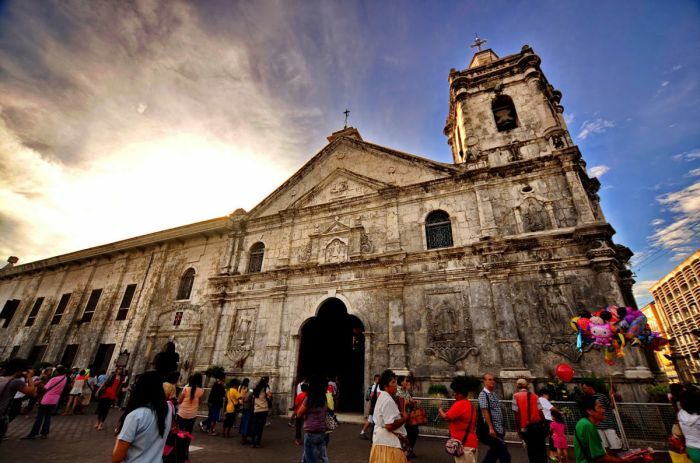 Sites such as Magellan's Cross, Santo Niño Basilica, and the Cebu Metropolitan Cathedral affirm the unwavering faith and reliance of the Filipino to the higher being in any situation. This faith has been engraved in his being, as he reflects it in all aspects of his life. 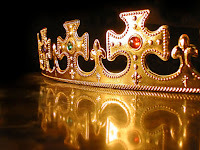 This will all trace back to Rajah Humabon, the first Filipino ruler to embrace Christianity. A monument is erected in his honor, a plaza named Plaza Hamabar. The streets of Colon, the city's Heritage Monument, and the three existing heritage houses in Parian reveal the identity of entrepreneurship, resourcefulness, industriousness, excellence, and strong relational ties. It made me see its impact as a significant center of commerce, trade, and education in the Visayas area. It also made me see the role of the Spaniards and the Chinese, in the shaping of what becomes the Cebuano community today. What stood out for me the most was the Casa Gorordo Museum. 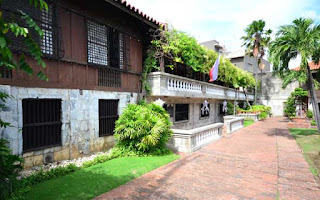 The displayed relics, as well as the old furniture and paintings, represent almost every architectural house in the country. Not only was the lifestyle reflected, but also the values truly in the Filipino- respect, discipline, responsibility, and concern towards others. 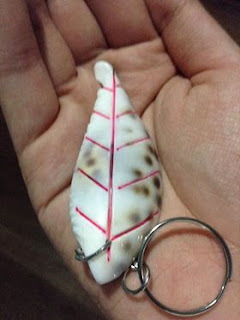 When the tour concluded, we were given a souvenir- a shell keychain. And it reminded me of how we sprung a strong culture of our own before the colonial influence took over. It made me see a picture of the country creating her identity by embracing diversity, not only in her neighboring countries but also those on the other side of the world. I think of a man who's assigned to a foreign country for a period of time. He can learn its culture and be influenced by it, but he can never forget the core values that are home to him. The Philippines may have heavy influences on the West, but part of it as an Oriental still remains. It is its real identity. I can be there, carry a foreign surname and adapt to its way of living. But the Filipino in me shouldn't be overpowered. Everything can be taken away from me, but they can't take away those built within me- hospitality, generosity, helpfulness, adaptability, creativity, strong cooperation, family-oriented mindset, bravery, optimism, honor, integrity, gratefulness, honesty, commitment, and those from the gems I found in this walk. They're part of me and are considered my source of inner pride. With all that's happened in the past, we can still do something for the present. 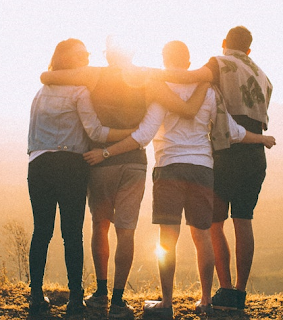 We can use our very own core values and maximize their full potential. We have the talents and gifts given to us. It's a matter of pushing them greatly so that we can stand out in whatever work we do. And we can do that, no doubt about it. So to answer the question on what I should celebrate, I'd go for the heroic act. Lapu-Lapu's courageous deed has sprung heroes from different eras to rise up and fight for true freedom. And the fight still continues today. It's not against foreign oppressors, but against ourselves. We have work to do- from resolving the country's problems to rediscovering its identity. I hope for the day where we all come to know what a Filipino truly is. We can truly unite and seek to progress forward for the betterment of our land and our people. And we can treasure what's truly and distinctively ourselves.